Make-A-Wish is well known for helping the dreams of disabled children come true, and that’s exactly what they’ve done for Samuel: a League of Legends fan with cystic fibrosis. He really wanted to go to visit Riot Games. Thanks to the help of John Bain AKA TotalBiscuit, Make-A-Wish were able to send Samuel to visit the developer and even design his own champion. Just getting into MOBAs? 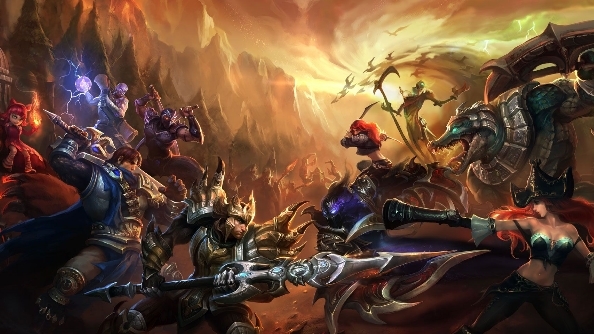 Try our guide to the best League of Legends champions for beginners. Riot’s refer-a-friend system rewards players for referring 10,000 people with a prize of visiting the studio all-expenses-paid, and the chance to join the design team in creating a champion. Thanks to his huge social media presence, TotalBiscuit was able to win the prize, which he wanted to donate to a good cause. “I didn’t use the prize for myself because I saw it as an opportunity to make someone very happy,” Bain said. The trip has certainly inspired him with plans for his own future, too: “This wish has given me motivation to push myself even more in school, so I can reach my career goal of designing my own games one day,” he said. There’s been no official word from Riot yet, but hopefully Kadarin will be on his way to the LoL roster sometime soon.